Globally there is a trend towards removing unwanted hair on the face and body. Long term hair removal is best achieved with light-based modalities. At Skin Alert Cairns we offer both IPL and laser permanent hair removal treatments. Both have been available commercially since the mid 90’s, and the main difference between them lies in the technology that each use to generate the light, as well as the different properties of the light being used. Both modalities can offer successful treatments for many patients, however there are a number of clinics/ salons claiming to offer laser when in fact, they are using an inferior machine. An important factor to consider when seeking out hair removal treatments is that not all IPL/ lasers can be used on all skin types. There are several variables that must be accounted for to ensure a successful treatment WITHOUT complications. An IPL is not a laser, and vice versa. A poor quality IPL is also not the same as a highly engineered IPL backed by years of research and design. 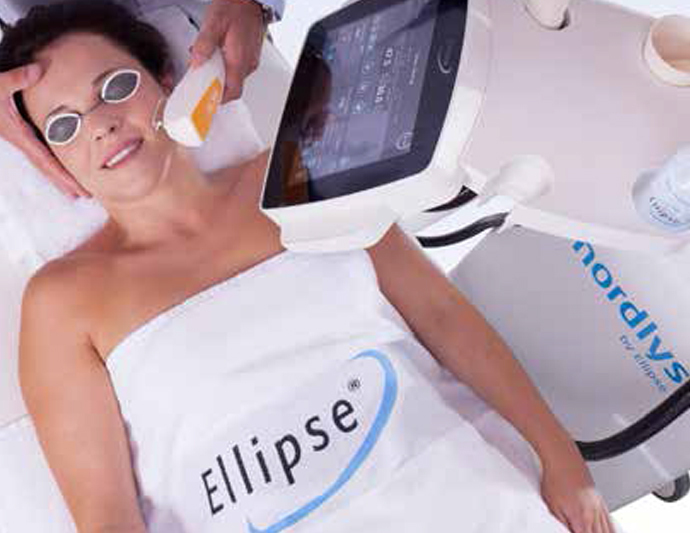 Our state of the art Ellipse IPL system is an excellent option for hair reduction. It leads the IPL market as the best device in the world. Hailing from Denmark, it is a high power machine with many applications that allow it to treat hair reduction, sun damage, rosacea, sun spots and facial capillaries. For our other IPL treatments please click here. At Skin Alert we give paramount consideration to the comfort, safety and satisfaction of our clients. To ensure treatments are safe and effective, we have employed clinically proven, advanced technologies that allow us to treat all skin types. Our medical grade IPL system can be set with optimal parameters providing safe, fast and effective treatments for every individual. IPL works by producing a broad spectrum of wavelengths as opposed to a single beam of light (or one colour of light). These light pulses target melanin in the hair follicle which absorbs the light and damages the follicle to inhibit new hair growth. Like laser hair removal skin colour is an important factor when choosing the right treatment and IPL generally works better on people with light skin and darker hair. Both Laser and IPL hair reduction treatments work on a principal that the light device is pulsed into the skin and primarily absorbed into the pigment of the hair. The hair then heats up to destroy the hair follicle and reduce hair growth. All of this happens while the surrounding skin is protected and unaffected. Hair reduction must be carried out as a course of treatments. This is because our millions of hairs are all at different stages of growth. Laser and IPL hair reduction treatments only work when the hair is in a specific phase of this growth (when it is connected to a blood supply). Therefore in order for this to work you need several treatments at designated time frames. Depending on your skin type and hair growth, you may need anywhere from 4-8 sessions 4-8 weeks apart. This will be discussed with you during your initial consultation. Patients with hormone-induced hair growth on the face may need more sessions accompanied by regular maintenance treatments. There are several important factors to be considered before receiving hair removal treatment. Skin type, hair colour, area being treated, hair growth cycles and sun exposure must all be discussed and explained. The sensation of the treatment is often compared to the feeling of a rubber band flicking the skin. This sensation only lasts for a fraction of a second and most clients report only minimal discomfort. If you have concerns, or are receiving treatment on a sensitive area, our experienced therapists will be happy to discuss some pain relieving options. Immediately following the treatment there will be temporary redness to the skin, this will disappear after a short time with most people returning to normal activities immediately. For pricing and eligibility for this treatment, book your complimentary consultation. During your consultation your technician will assess your skin type and hair to determine which method of hair removal will be most effective for you, and discuss all costs involved.